all involved with school and community beginner ensembles. Confronting the Ideas – Why do we have band programs? Using this information to shape recruitment, resources, curriculum and pedagogy. Participants do not require an instrument but are asked to download any piano/keyboard app to their mobile device prior to the clinic. Erin is a music educator and trumpet player hailing from the United States. 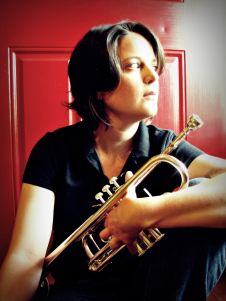 She holds a Bachelor of Music Education and a Master of Music in Trumpet Performance, both from Appalachian State University, and a Master of Music in Performance Teaching from the University of Melbourne. Erin plays with Footscray Yarraville City Band, and is the musical director for Western Brass. She is the Head of Brass at Genazzano FCJ College, where she teaches trumpet, classroom music, and directs two concert bands. Erin is the conductor of Melbourne Youth Orchestras’ Junior Concert Band, and occasionally adjudicates band and solo festivals and contests. She is passionate about the important role that ensembles play in music education, and enjoys helping young students develop their love and knowledge of music. Come along and be encouraged by Erin’s enthusiasm for beginner bands.